Soulful Food – For The Love of YOGA and all things nice! 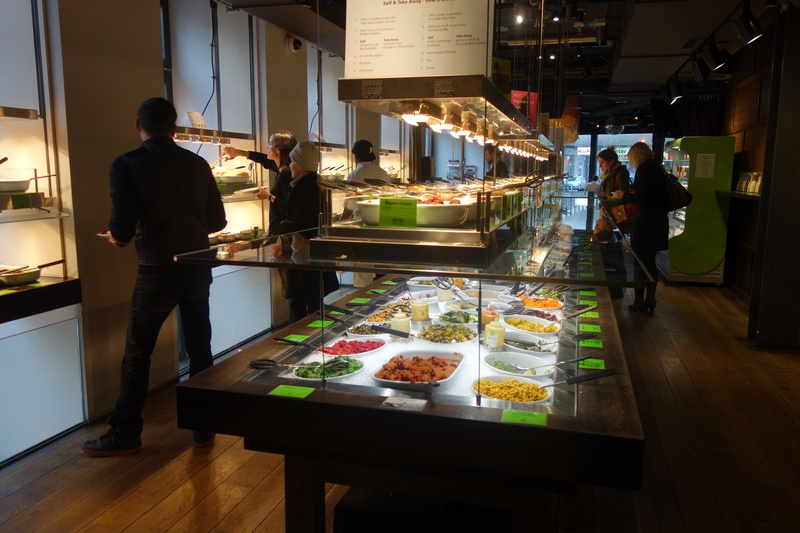 According to “Guinness World Records” Hiltl is the first vegetarian restaurant in the world. 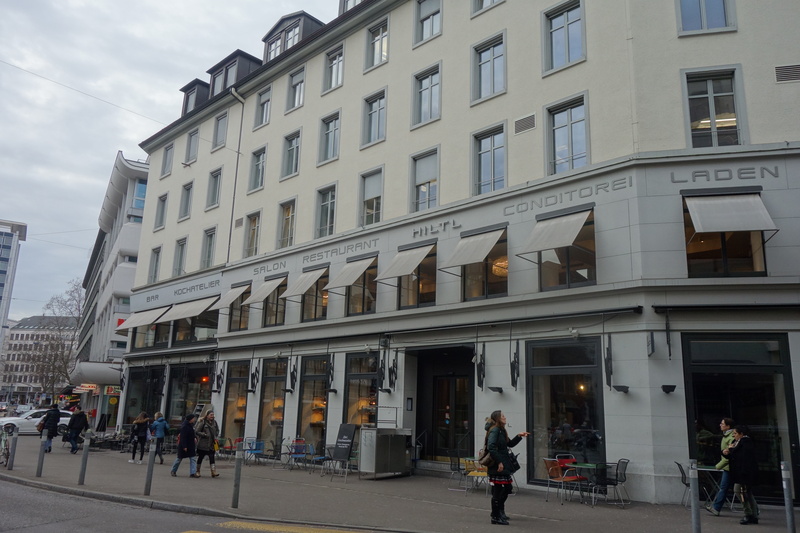 In addition to the à la carte restaurant and Hiltl buffet, it includes takeaway, a bar-lounge, a club, a cooking studio and a shop. We enjoyed a sumptuous buffet lunch here with more dishes than we could eat in an entire afternoon and they were delicious. What we liked best was that you pay as per the weight of your plate. Every plate is weighed and then payed for accordingly at the start of the meal so you end up paying for only what you eat. 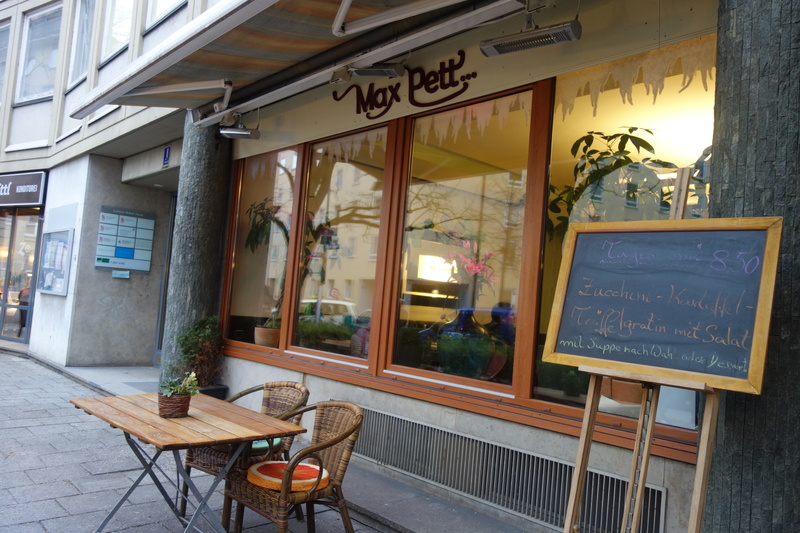 Max Pett is a vegan restaurant in Munich. 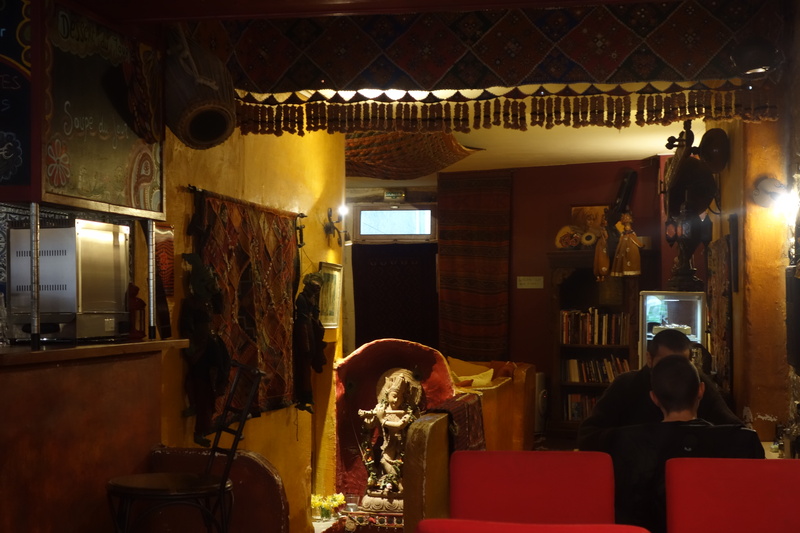 It has a cafe like feel to it and is a small and cozy place. The menu has a lot of choices and we were very happy with the food that we ordered. Address: Pettenkoferstr 8 – 80335 Munchen, Germany. Joia is a Michelin star vegetarian restaurant and I’m guessing there aren’t a lot of those. 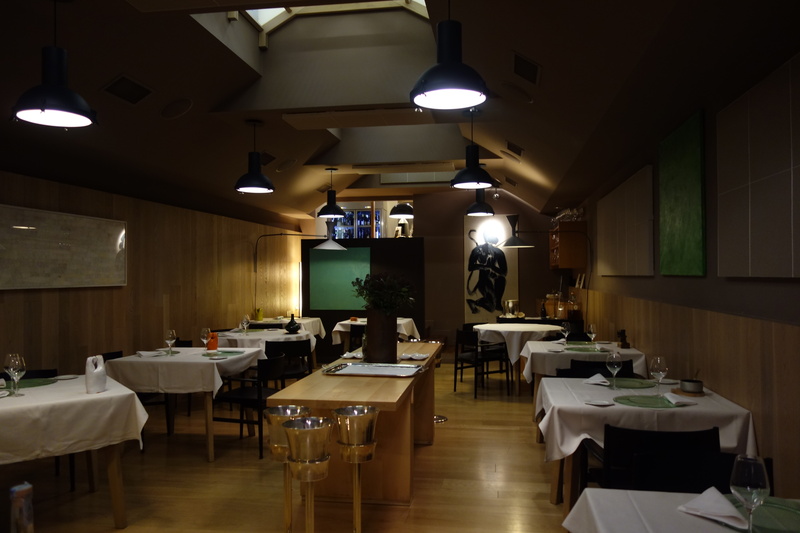 The chef Pietro Leemann is personally present to take your orders and talk to you and this restaurant is a result of his philosophy of a wholesome natural diet. Obviously, being michelin starred, this place doesn’t need our recommendation but I still want to say that we loved everything about this place. The interiors, the food of course, the beautifully crafted and designed menu and even their website. This is not just a restaurant, it is also a very spiritual place and if you visit them, you will know what I’m talking about. run by a French man who loves India. I found the taste of the food very authentic to the Indian palate which was a pleasant surprise because neither the chef nor anybody else who works there is Indian. The restaurant is very Indian even in its ambience with floor seatings, pictures from India on the walls and classical indian music. The place also has a yoga and meditation studio. 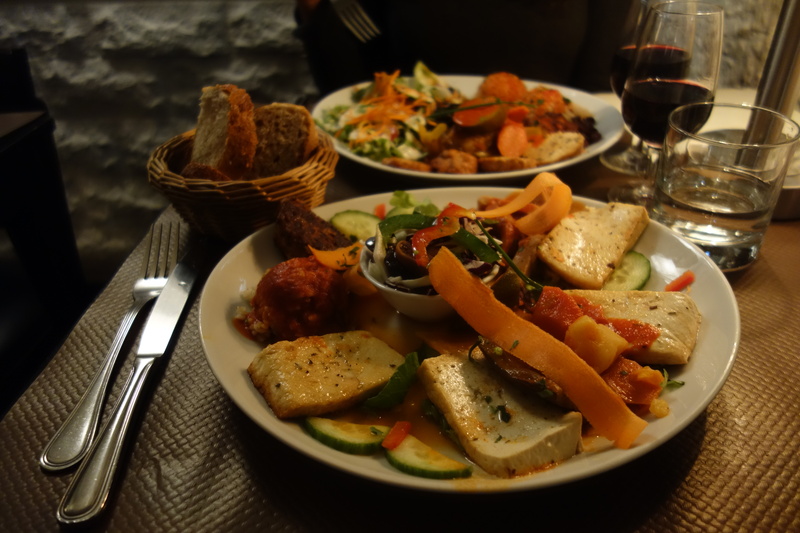 Unlike the rest of France where finding vegetarian restaurants is an almost impossible task, the tourist capital of the world, doesn’t let you down even on that front. 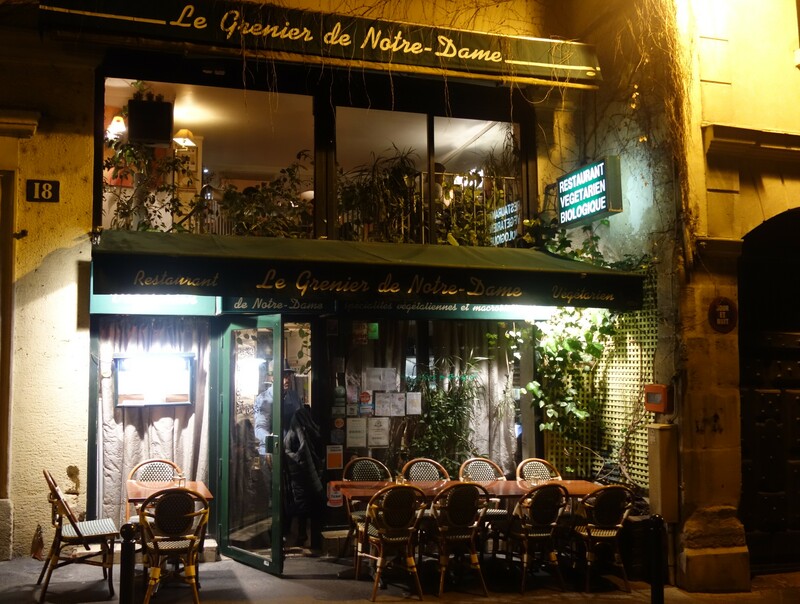 The Grenier of Notre Dame is the very first vegetarian restaurant in Paris. It has a history dating back to 1978 and has been passed on from father to son since then. They even work with the same local producers since 1978. 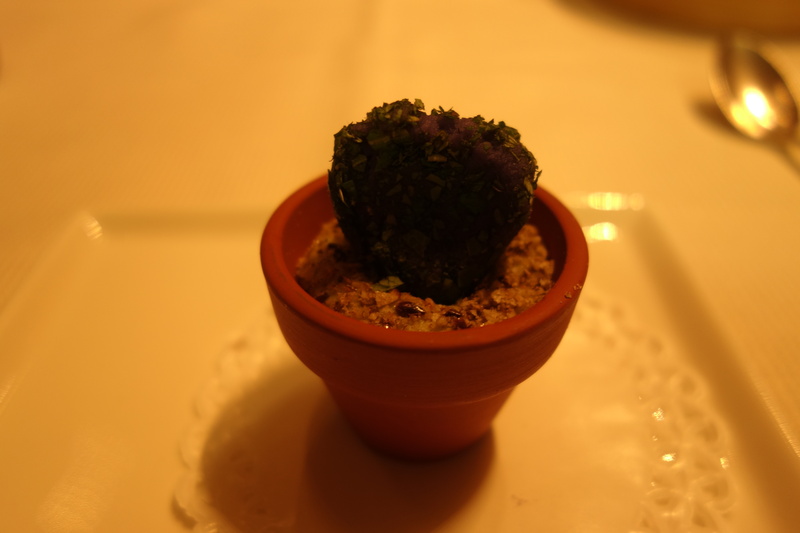 The restaurant has very pretty interiors and the food is delicious and very healthy. Address: 18 Rue de la Bucherie, 75005 Paris, France. but they deserve a special mention because they are in home territory. Cluses happens to be Ben’s hometown and this is the only organic restaurant around and the only one that has a set vegetarian meal as part of their menu. We enjoyed their food and we appreciate what they are doing in the region of meat lovers. 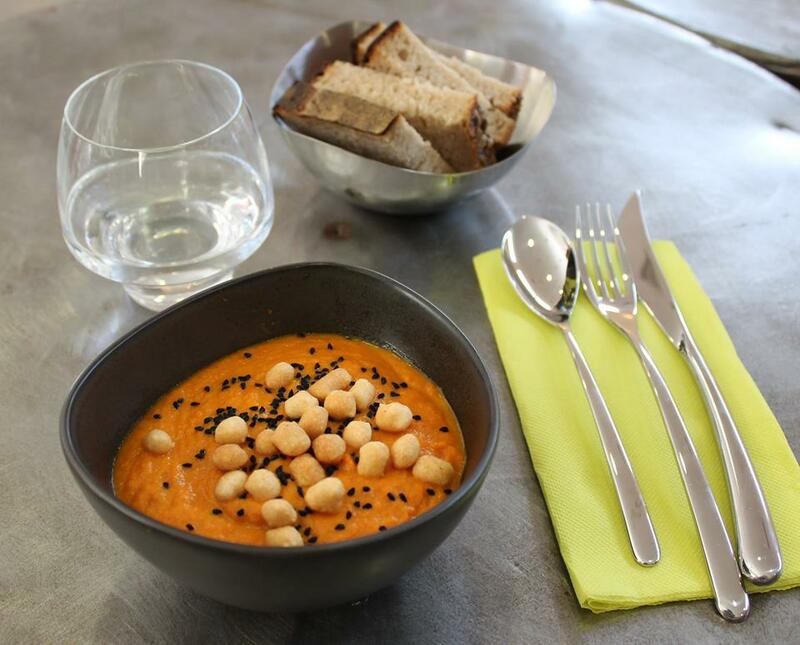 La Table owners also own a large organic shop in Cluses and most of our food ingredients come from there.